Remember when it used to takes weeks to get products delivered? Or at least a few days? But even a few days is now too long for today’s consumers. We’re used to getting immediate response to questions and orders and expect delivery the next day or two. First, Amazon trained us to expect 2-day delivery with its Amazon Prime service and partnerships with distribution companies. Then the company started testing same-day delivery in certain cities using established retail outlets and lockers. But why stop at same-day delivery? Today’s technology is capable of delivering packages to homes in under an hour. 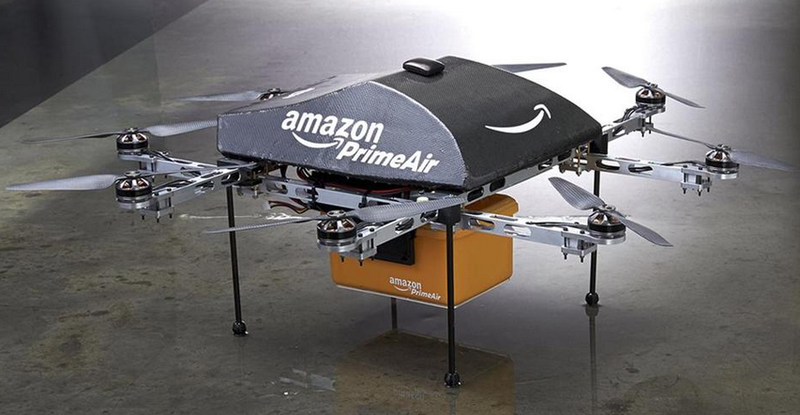 The delivery mechanism proposed is drones by Amazon. In a few years, according to Amazon CEO Jeff Bezos, the ‘octocopter’ drones could be capable of operating and delivering five-pound packages in less than 30 minutes. Of course, safety and regulations are an important issue and there is currently no precedent for this manner of delivery in the U.S. (The promotional video provided by Amazon could not even be recorded within U.S. borders due to regulations.) But still… drones for delivering packages could soon come to your neighborhood. Watch the video and imagine the possibilities.